By Adjua Fisher·	 2/21/2017, 1:12 p.m. The folks of Newtown are about to get their own little indoor cycling sanctuary. 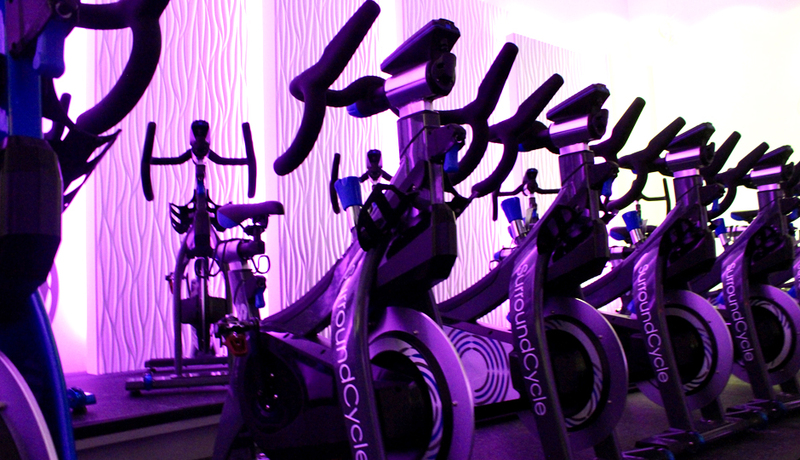 SurroundCycle, a 4,400-square-foot boutique fitness studio, being opened by Bucks County couple Amy Winston and Steve Samuel, is slated to open its doors this Saturday, February 25th. The studio, located on the second floor of 36 Richboro Road, has been in the works for two years, with Winston spending much of that time auditioning instructors (she landed on eight that she feels make a great fit), test-riding indoor cycling classes to see what she could tweak for improvement, and — of course — actually building the space. Along with being outfitted with serious sound and light systems, the 26-bike studio, equipped with Stages SC3 bikes, also features leaderboards that can be arranged in a multitude of ways from class to class, like to pit in-class teams against each other or to reach class goals — say a total of 200 miles for the class — and so on. But don’t be scared off, competition-averse, folks: the leaderboards aren’t used in every class. Riders do always get a post-class email featuring the metrics from their ride, though. The studio will be offering a slew of classes, from SurroundCycle 101, a cycling class for beginners, to SurroundCycle 40/40, an 80-minute class featuring 40 minutes of intense cycling paired with 40 minutes of off-bike strength training. A single class will run you $24, and they’ll be kicking things off this weekend with an open house starting at 12 p.m. on Saturday. You can keep in the loop with SurroundCycle on Facebook here. Happy soundproofed cycling, folks!